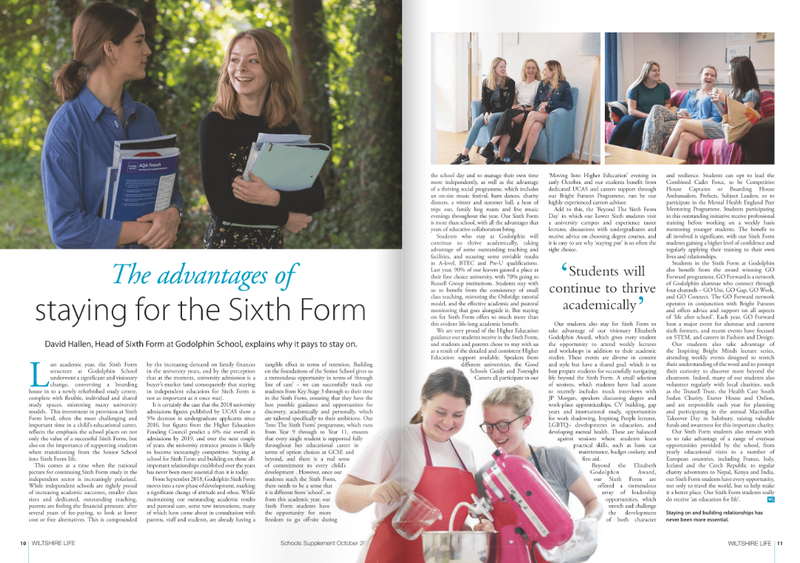 Read all about our wonderful Sixth Form and the advantages of staying on here at Godolphin in the most recent issue of the Wiltshire Life Independent Schools Guide. Written by our Head of Sixth Form, David Hallen, this article describes the amazing things that we offer for Sixth Form students. It's exciting to see pictures of our current girls in print! Follow the link to read the article.